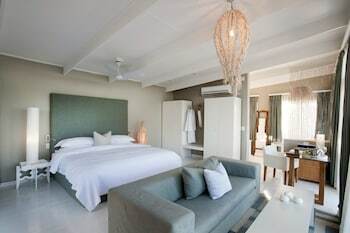 With a stay at White Pearl Resorts in Zitundo, you'll be near the bay, and 7.3 mi (11.8 km) from Malongane Park and 8.5 mi (13.7 km) from Signal Hill. Featured amenities include dry cleaning/laundry services and multilingual staff. A roundtrip airport shuttle is provided for a surcharge (available on request), and free self parking is available onsite. When you stay at Bemugi's in Machangulo, you'll be near the beach and within a 5-minute drive of Inhaca Marine Reserve. Free self parking is available onsite.